MYSTIC – Bill Pere, an internationally published songwriter, has released his 15th CD, “Dare to Dream.” Known in the national songwriting community as an exceptional lyricist and songwriting educator, Pere has produced this new 30­song, 2-disc collection which looks at the panora­ma of human experience from birth to death, through our dreams, hopes, and aspirations. 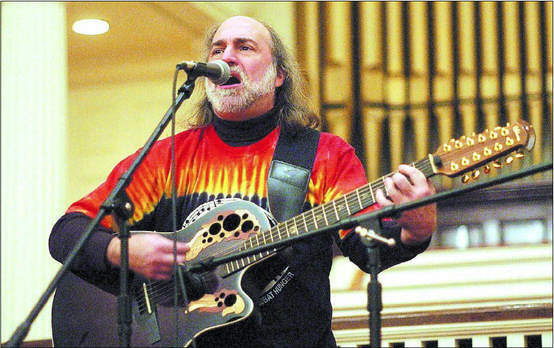 The CD was recorded over a three-year period at the Mystic-based Connecti­cut Songwriting Academy, and includes participation from many guest artists and area youth from 12 dif­ferent schools. Included are tracks featuring vocals from the 2006 Voices for Hope winners Jaclyn Sabogal, from Massachusetts and Kayla Bogan, from New Jersey. to record professionally and to see that they can make a difference in the lives of others. Featured on the CD is “The Wish,” written by Pere in 1997, and originally released on “The Time is Now,” a compilation of songs relating to hunger and poverty, with such other noted artists as Pete Seeger and John Cafferty. “The Wish” reached 1 on the Number One Music folk charts during the week of March 4, 2007. Also featured are “Alizarin Crimson” and “Flickers,” two songs about Pere’s experience as a young teenager, watching his father’s descent into the world of Alzheimer’s disease. Pere will designate royalties from these songs to benefit Alzheimer’s research and support groups.